The House of Mouth provide consumers with access to the same dental products recommended and sold by your dentist but at a fraction of the cost. You trust your dentist and that’s why you can trust The House of Mouth! 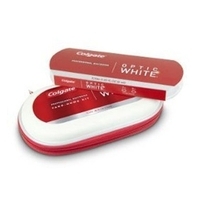 Their extensive range includes specialised products recommended by dentists including toothpastes, power and manual toothbrushes, interdental solutions, xylitol gums, tooth desensitisers and remineralisation agents, bad breath systems, disclosing solutions and a large range of professional teeth whitening brands.